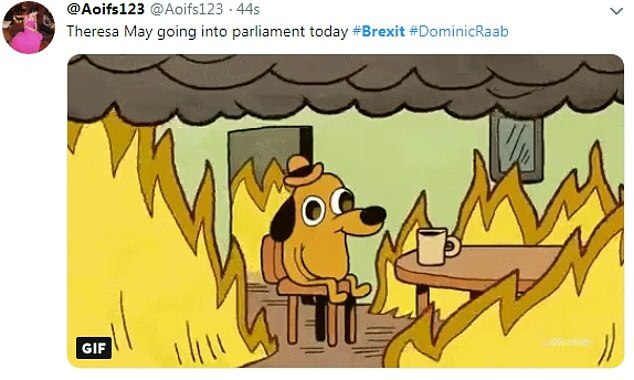 Britain may be hopelessly divided on Brexit - but at least everyone can agree the politicians have got themselves into an almighty mess. 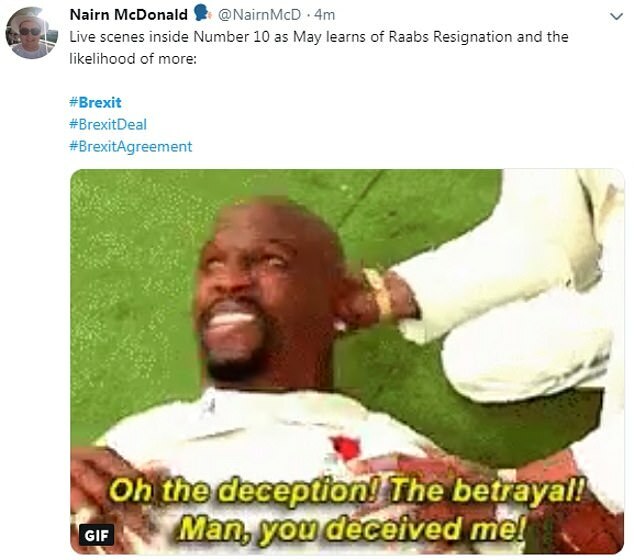 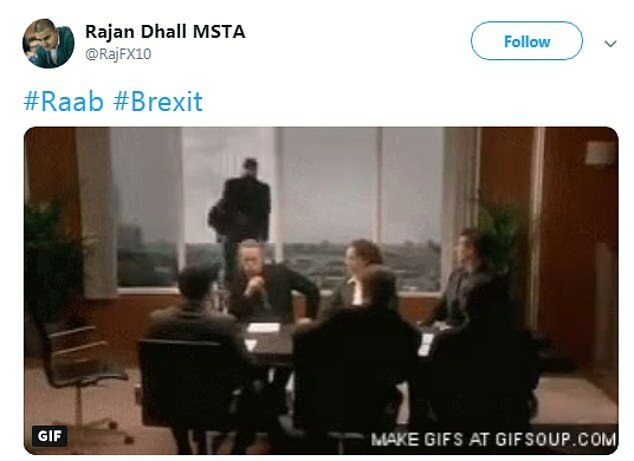 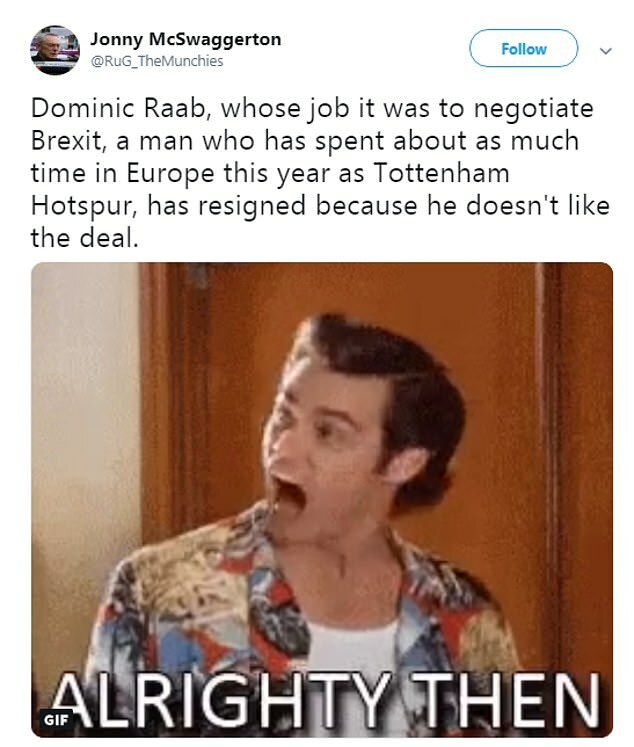 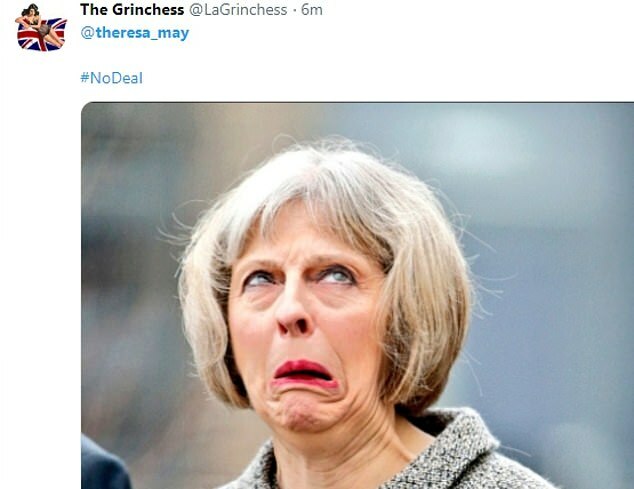 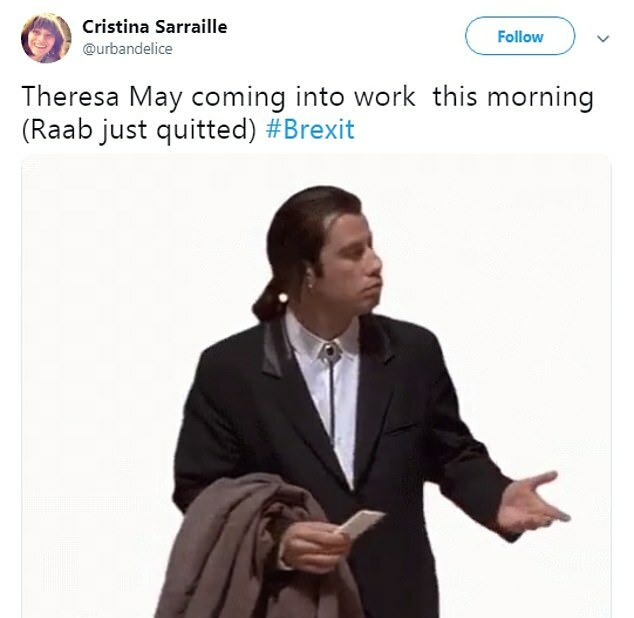 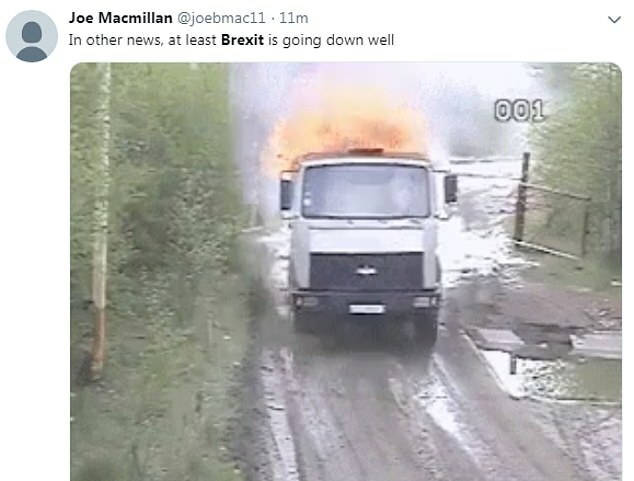 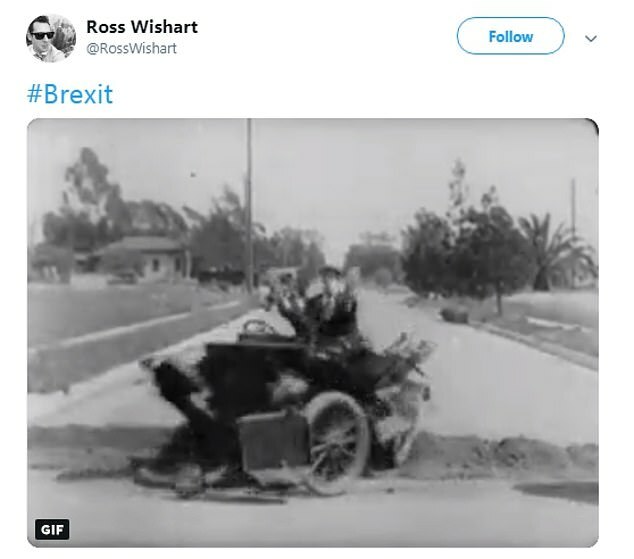 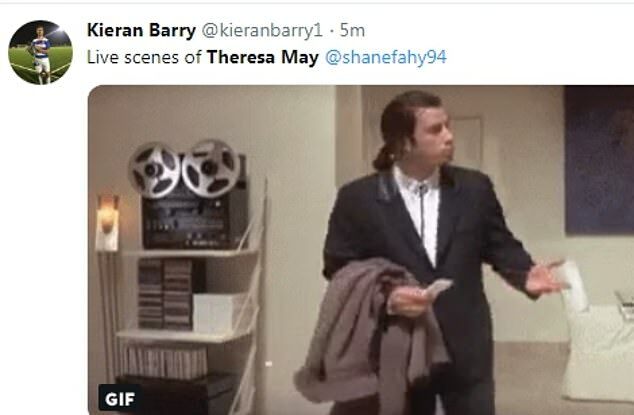 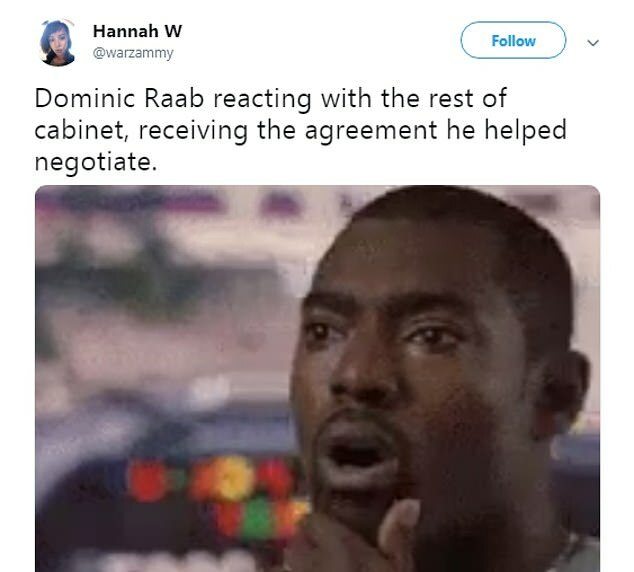 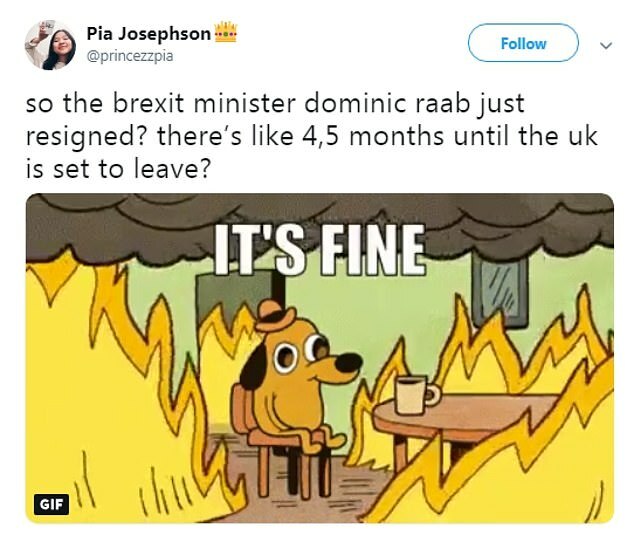 Jokers today flooded the Internet with Brexit memes as Cabinet ministers continued to walk out over Theresa May's draft withdrawal agreement. 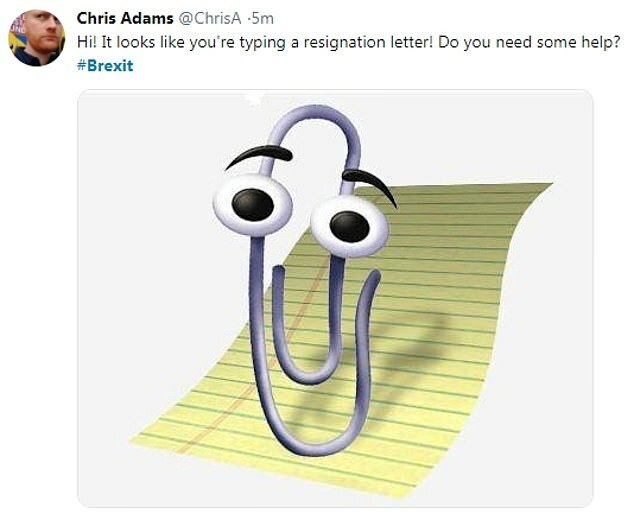 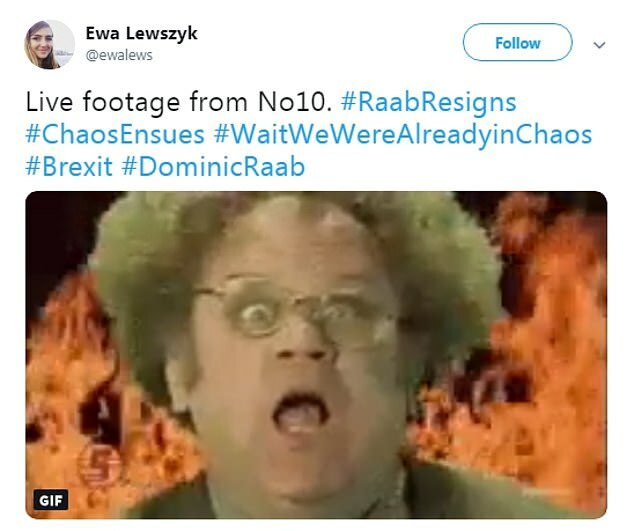 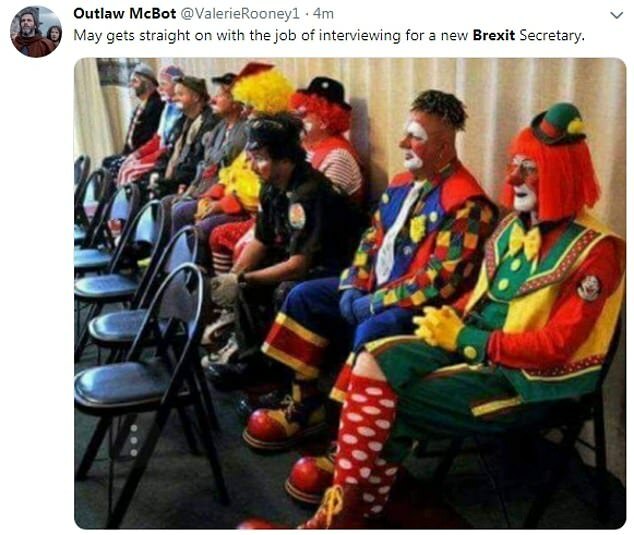 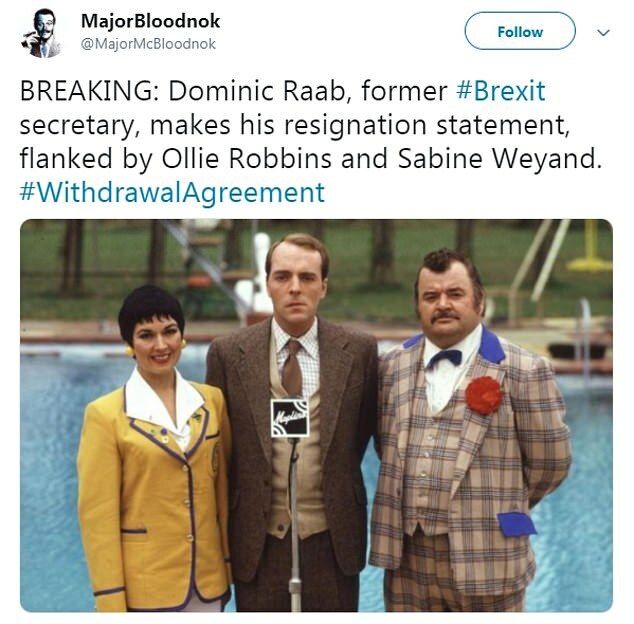 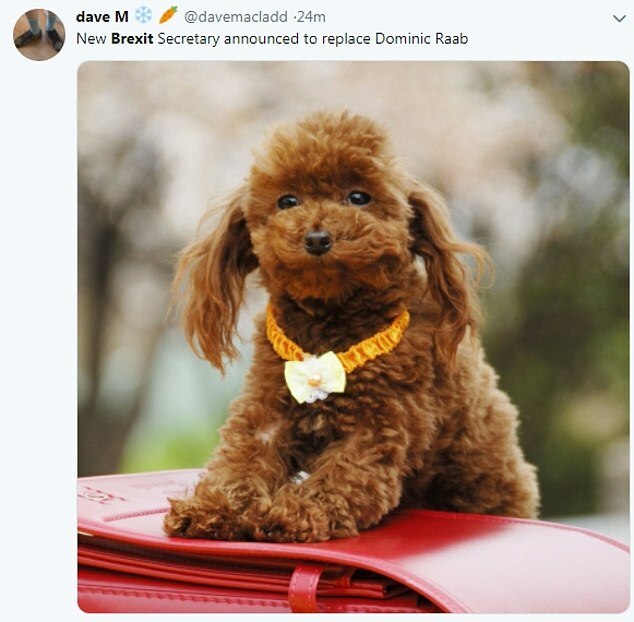 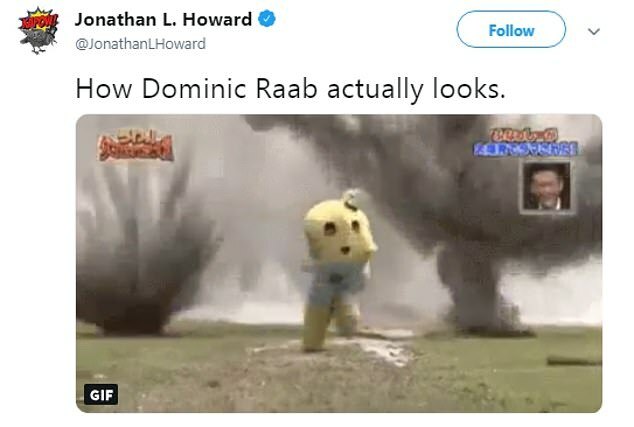 One Twitter user, responding to the resignation of Dominic Raab, posted a photo of clowns sitting on a row of chairs and quipped, 'May gets straight on with the job of interviewing for a new Brexit secretary'. 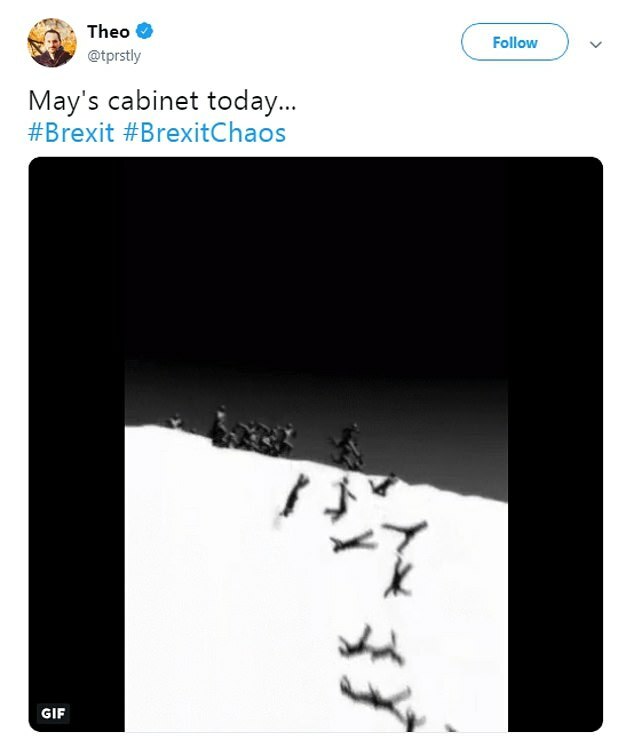 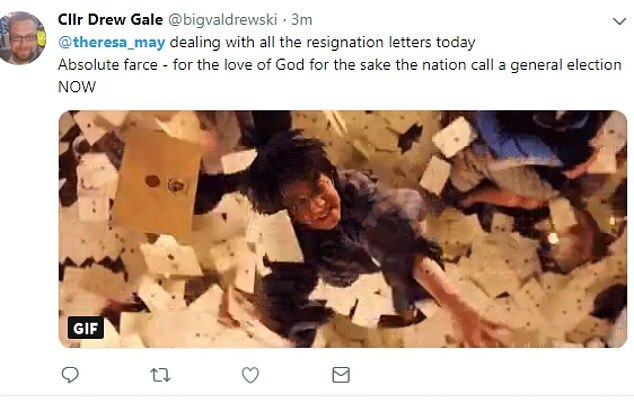 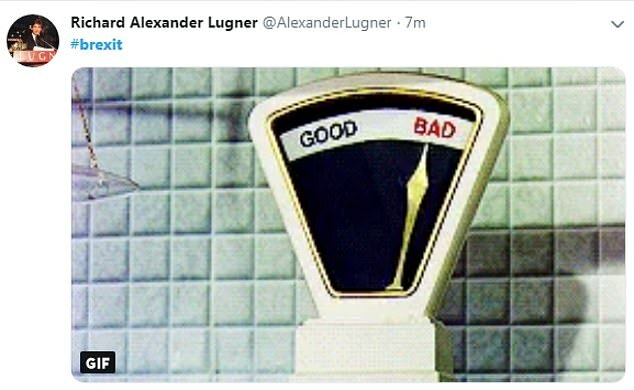 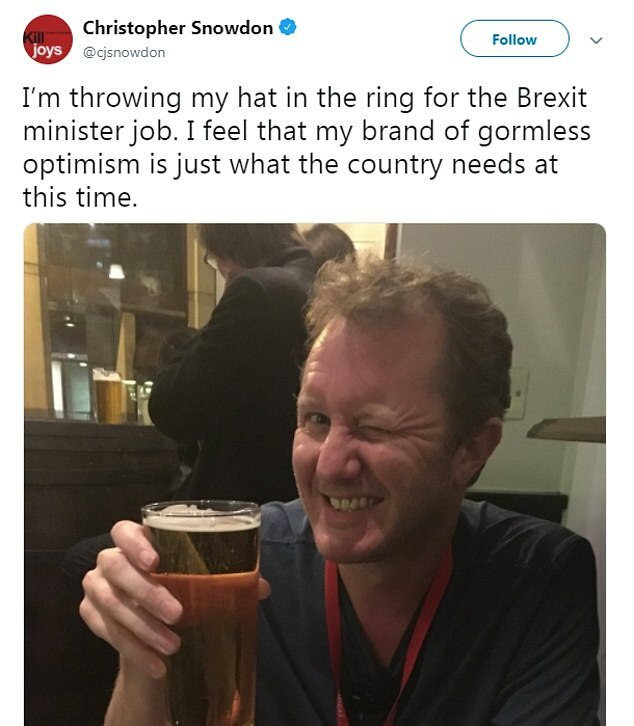 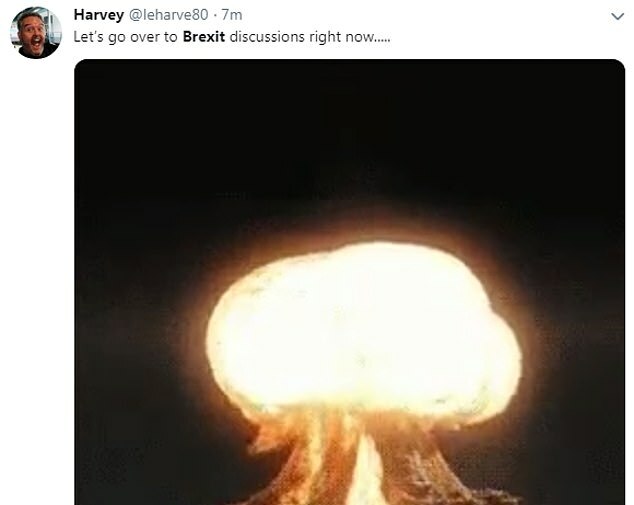 Others suggested Mrs May's position had gone nuclear, with one person sharing an image of a mushroom cloud with the caption, 'Let's go over to Brexit discussions right now'. 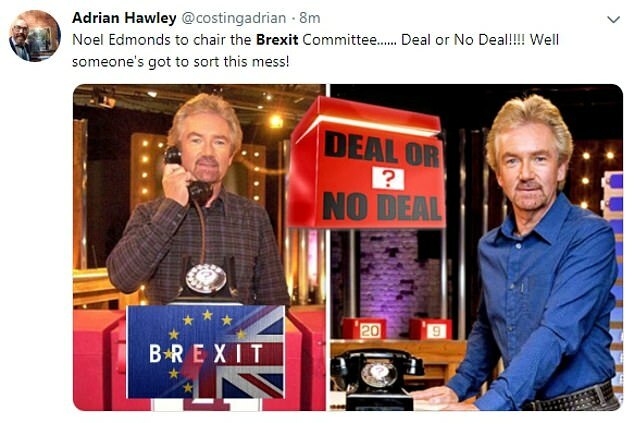 Adrian Hawley jested that Noel Edmonds should be brought in to 'sort out this mess' - as at least he'd decide straight away if it was 'Deal or No Deal'.